Econsultancy is a community where the world's digital marketing and ecommerce professionals meet to sharpen their strategies, get quick answers, compare notes, and help each other out. 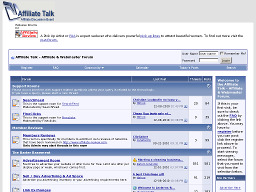 Talk Walker is a social media monitoring tool. It provides social analytics and social media engagement tools for easy integration into your CRM/Marketing resources. Trendwatching is one of the world's leading trend firms, scanning the globe for emerging consumer trends, insights and innovations. They report on their findings in free, monthly Trend Briefings. Cuutio is a free (bronze) inbound marketing platform that monitors your web presence. It has on-site and off-site web analytic tools for performance management, tells you the keywords your competitors are using and who links to their site, etc. Small Business Branding is for those interested in marketing and building a small business. Find articles by authors devoted to building SMB brands; podcasts with ideas, tips, and interviews; small business reviews, etc. 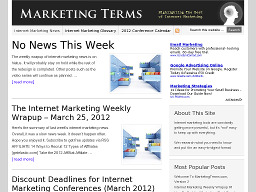 MarketingTerms.com A useful Internet Marketing dictionary. If you want to get up to speed on basic online marketing terminology, this is a good site to visit. Browse by category or alphabetically. MarketingScoop An online resource (created by marketing experts) for those interested in improving their marketing results. The site has tools, resources, and information available for marketing professionals to help improve their results and succeed in the industry. 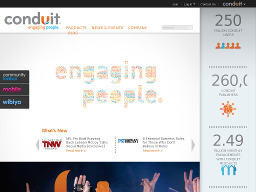 Conduit.com Provides website syndication solutions for web publishers that boost traffic, revenue and brand loyalty. Web publishers can syndicate website content and applications directly to the browser by allowing users to add them as simply as adding an RSS feed. 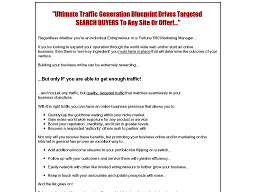 TrafficGeneration.com Traffic building portal providing site promotion articles, search engine news, tools and other resources for webmasters and small businessowners. 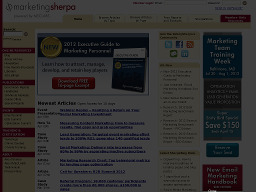 MarketingSherpa.com MarketingSherpa.com publishes articles and special reports on useful case studies, results data, and best practices for more than 173,000 marketing, advertising, and public relations professionals. One of the Web's most popular destinations. PRlog A popular, free online press release service. The site also allows for job and article posting. Easy to use and navigate.